Yesterday, militants did not conduct attacks in Luhansk sector of a combat zone. Meanwhile, in Donetsk sector, Russian-backed militants violated ceasefire once. “For more than half an hour, Russian proxies fired at Ukrainian troops near Avdiivka with small arms. 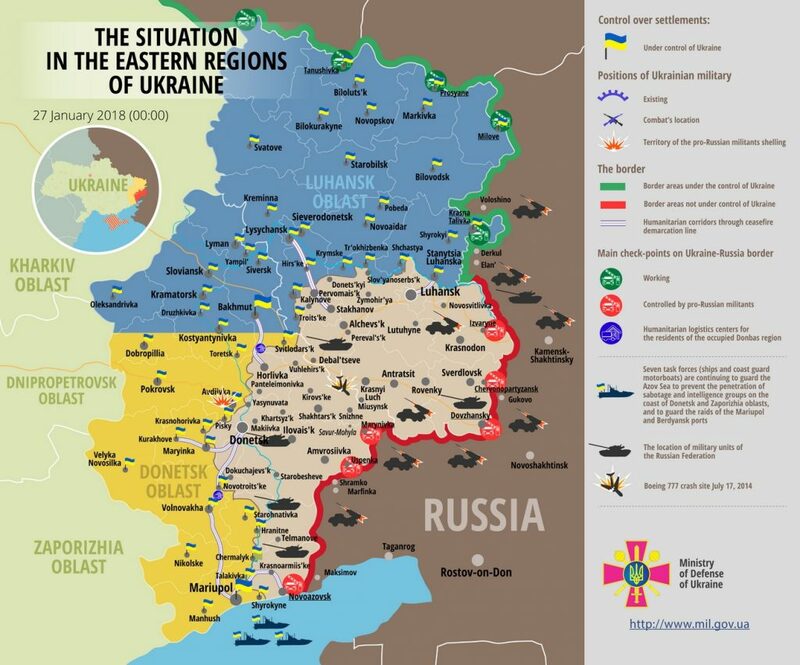 Ukrainian units did not return fire”, reported Col. Maksym Prauta, Ukrainian Ministry of Defense spokesperson on ATO-related issues at a press briefing at Ukraine Crisis Media Center. One Ukrainian troop was wounded near Avdiivka due to the militants’ shelling. According to the Ukrainian side of the Joint center for coordination and control, the so-called “DNR” sabotages the repair works on damaged objects of the critical infrastructure in Donetsk region. This is the coke and by-product process enterprise “Inkor&Co” and ammonia pipeline of the State Enterprise “Ukrhimtransamiak”. It is impossible to carry out repairs of gas distribution stations and gas pipelines in Mariinka and Krasnohorivka. “The lack of gas in the winter season put lives of nearly 26 000 inhabitants of Mariinka and Krasnohorivka at risk,” Colonel Prauta said. The entire temporarily occupied territory of Donetsk region remains without the mobile service of Vodafone mobile operator. Report on the military developments as of January 26 is available here. Interactive data on the shelling: chronology shelling chart and the interactive map.